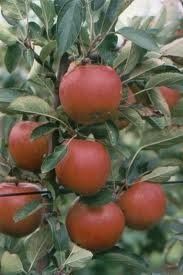 Medium sized, golden red fruit with crisp flesh. Sweet-tart flavor good for cooking and eating fresh. Self-fruitful tree, ripens in October.